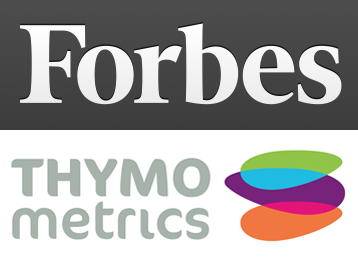 Recently, Thymometrics was highlighted in Josh Bersin’s Forbes article on the topic of employee feedback apps, which talked extensively about the shift towards more employee-centric management practices. Despite taking steps to make workplaces better with unique perks and generous compensation, employee engagement is still relatively low in many organizations. Experts believe low engagement stems from the current market in which candidates are in charge, as well as some of the residual cynicism that employees feel as a result of past poor economic conditions and cutbacks made by companies. It takes more than free lunches, nap pods, and parties to engage and inspire employees. On the plus side, things are turning around and technology like real-time employee surveys are leading the way towards making more workplaces better. This week, we hear from Hugh Tonks, CEO of Thymometrics, who shares his thoughts on where the employee engagement software industry is heading and the importance of using real-time data to make critical business decisions. Engagement technology has come a long way since the annual employee survey, which limited human resource professionals to one outdated view of employees. Now, with real-time data, business leaders can make decisions that impact the business in a positive way. Next-generation pulse survey tools like Thymometrics create a friendly and safe space where employees can make a huge difference in workplaces. Such tool allows businesses to plot and visualize employee mood patterns and engagement levels on a daily basis. It also helps HR to stay connected to employees with a central communication platform, so feedback can be responded to instantly and directly. There are some guidelines for selecting and using an employee engagement survey platform. Hugh shares his words of wisdom: “Just as gardens require continual weeding and pruning to keep them looking at their best, some investment – whether it’s time, attention, money, effort or some combination thereof – must be put into maintaining the level of engagement that employees have with their jobs and their work, otherwise things will slowly (or if you’re unlucky, quickly) deteriorate. This may not always lead to higher profits, better productivity or lower turnover, but a failure to invest cannot lead to these things.” A smart business strategy, then, is to invest in technology tools that tracks employee engagement, with supportive experts who can guide you along the way. The future of always-on employee satisfaction surveys is sure to include cloud-based platforms that can be adapted to mobile app users as the workforce continues to expand into remote regions and ‘out in the field’, visual reporting that shows the progress of engagement efforts and the guidance of a supportive team that understands the challenges of your industry. Contact Thymometrics, the world leading real-time employee engagement survey platform, by emailing info@thymometrics.com, calling +1 646 760 9323 (US) or +44 (0) 1223 750 251 (Europe) or visiting thymometrics.com.